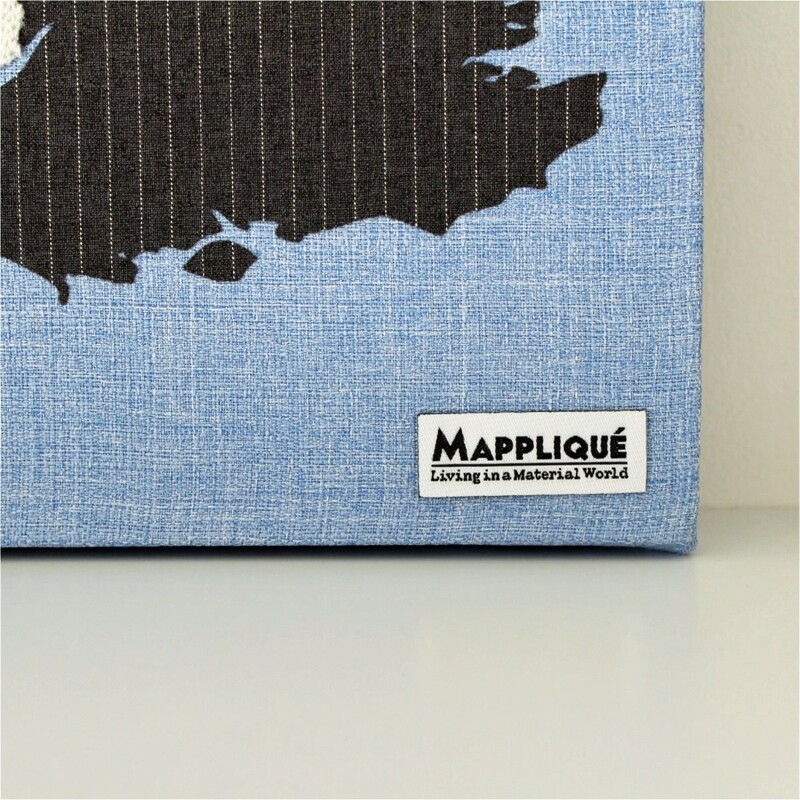 This handcrafted fabric map wall art is made by painstakingly cutting each nation out of fabrics relevant to each region and appliquéing them to a base of blue linen-style fabric with a rich woven texture. 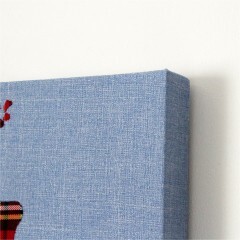 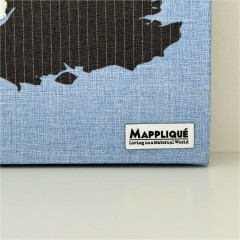 Fabric is applied to canvas stretched over a light but strong wooden frame, the piece comes ready to hang with cord and is signed with the Mappliqué woven label. 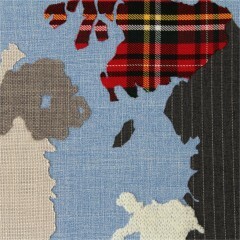 This piece measures 50 centimetres tall by 40 centimetres wide (approximately 20″ by 16 inches) and 3.5 cms deep. 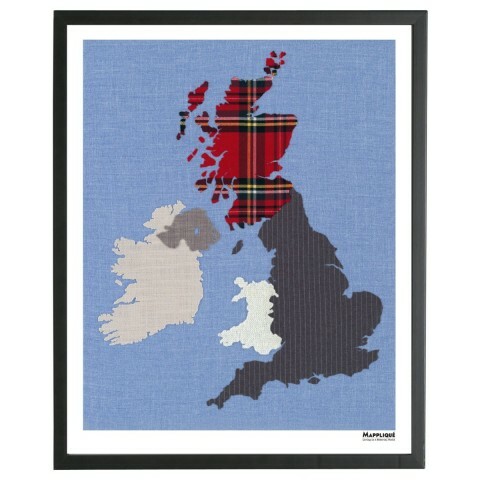 Also available as a giclée reproduction print. Scotland is renowned worldwide for their tartan fabrics that date back centuries. 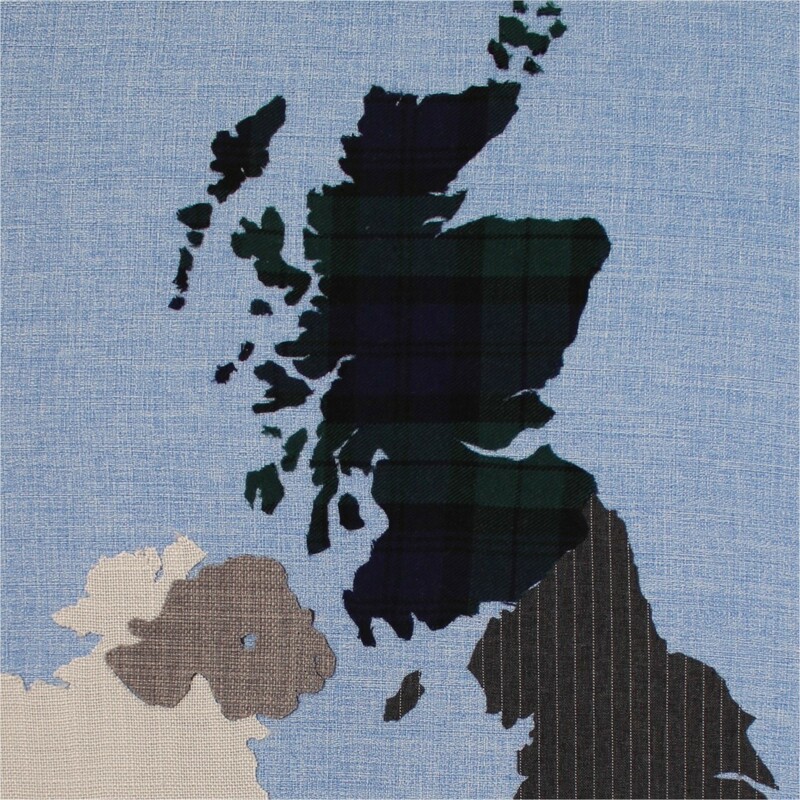 We offer a workshop choice of Royal Stewart (pictured in the images above), or Black Watch (for those who don’t want to have red in their interior colour scheme), which are two of the most globally recognisable tartan fabrics, or a tartan of your choice. 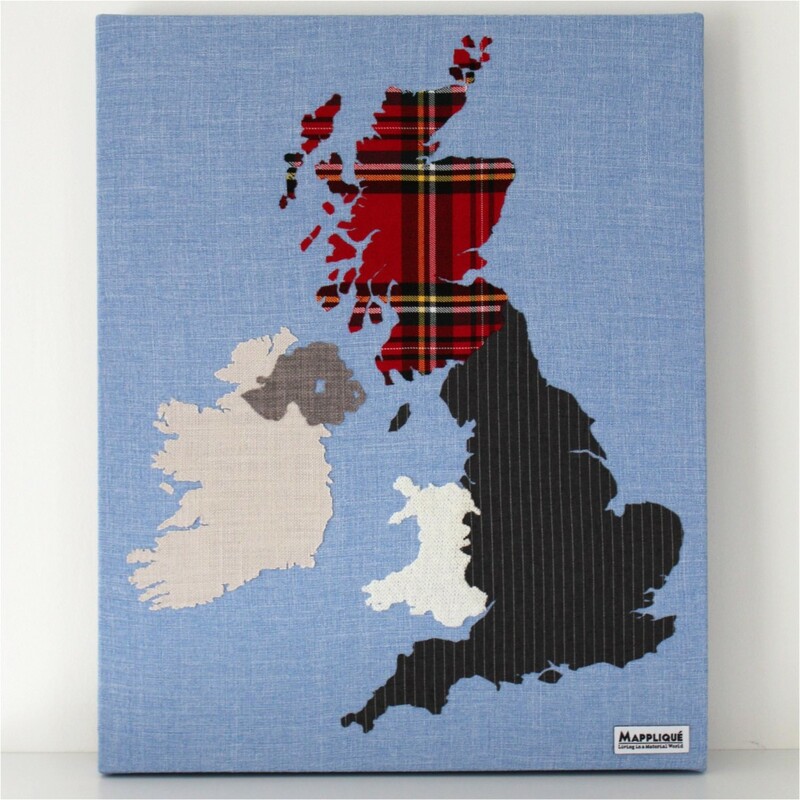 You can request a tartan fabric of your own preference, using the dropdown selection box above, that may have special meaning to you or your clan. 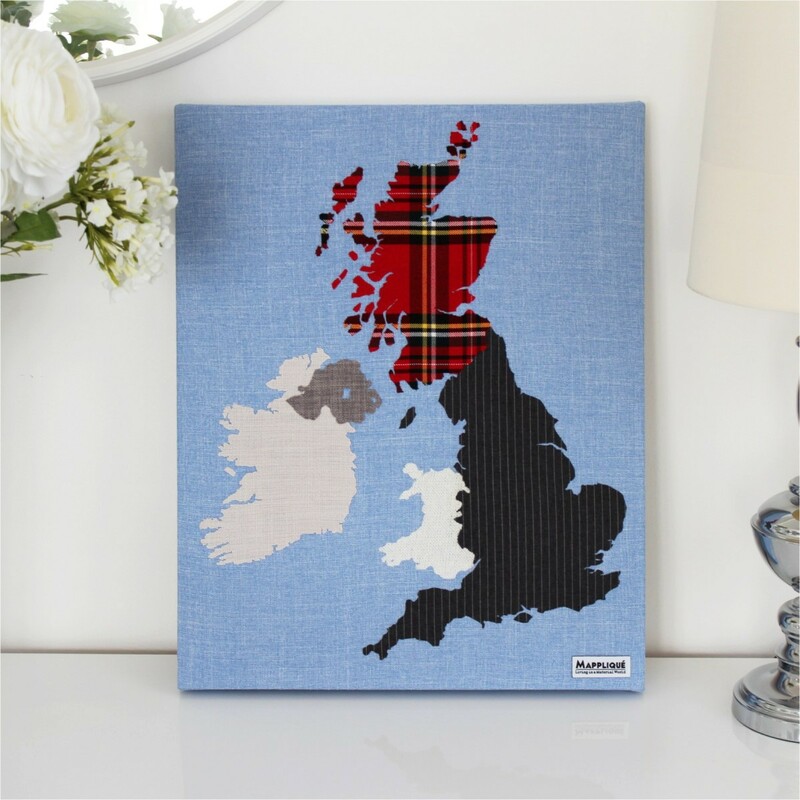 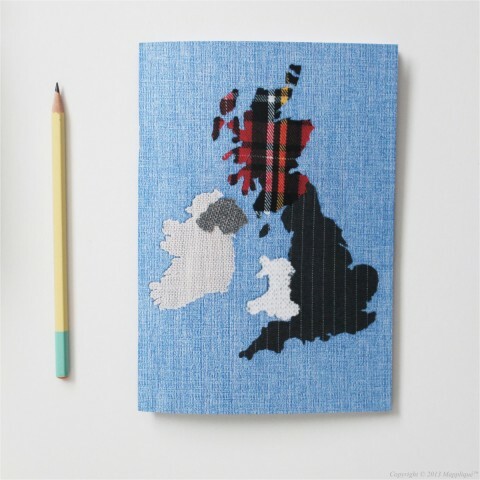 All fabric wall art is made to order and personalised with the tartan fabric selection of your choice so make sure to select your tartan fabric carefully as personalised items are non-returnable. 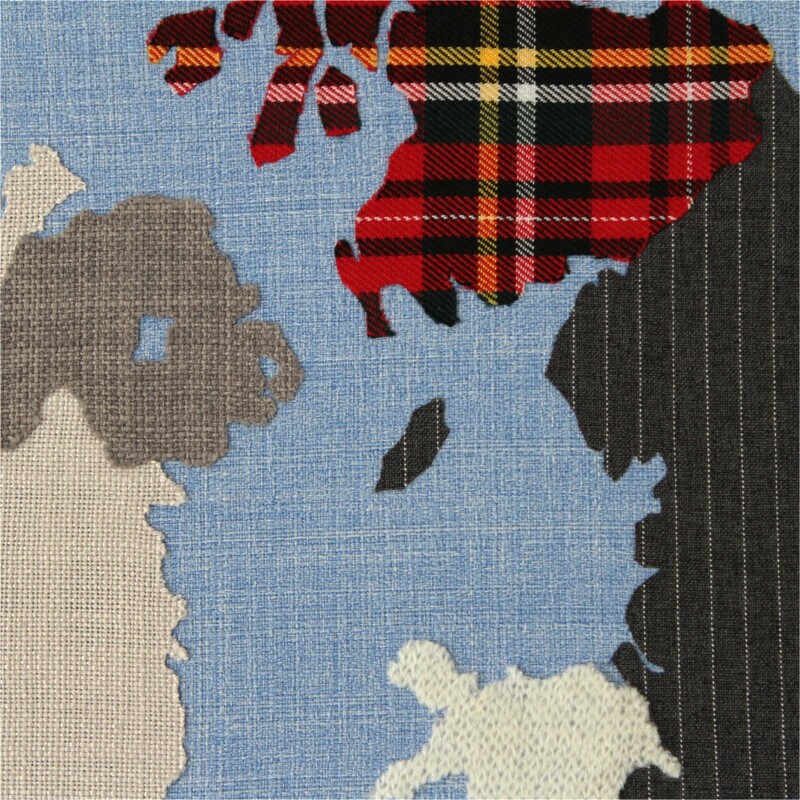 As all original fabric art pieces are made by hand, there will be a variation in pattern and cut which will never exactly match the sample item photographed for this website. As original art pieces are handcrafted using fabrics, take care not to snag them with jewellery when hanging, or spill anything on them that may stain (they’re non-washable). 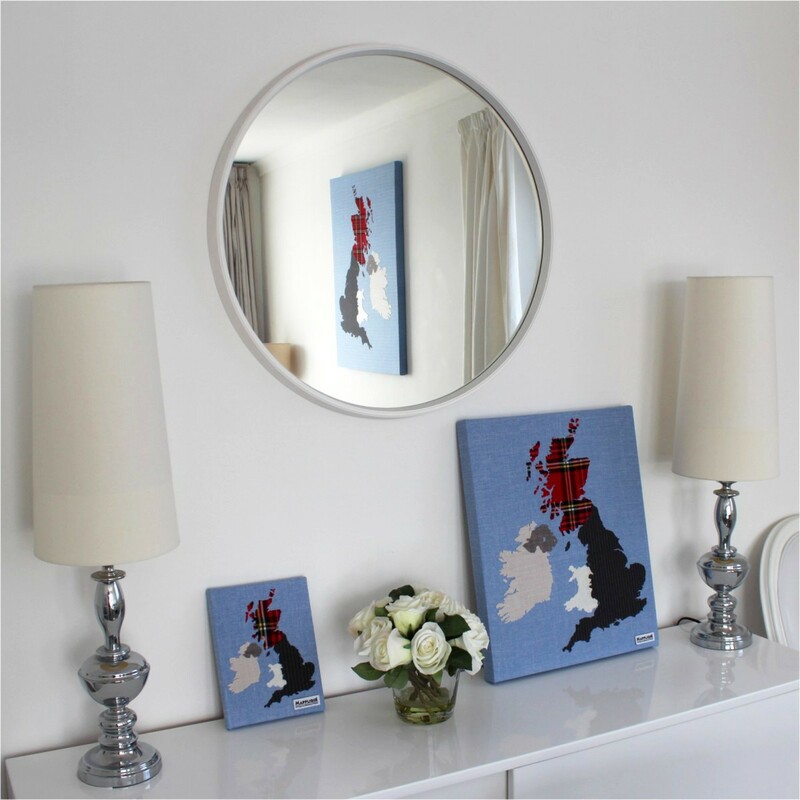 If you have specific fabrics you would like to see transformed into a piece of wall art, find out more about commissions here.